Thanks to modern extraction technology, products like THC wax as well as CBD wax are available online and in legal dispensaries. 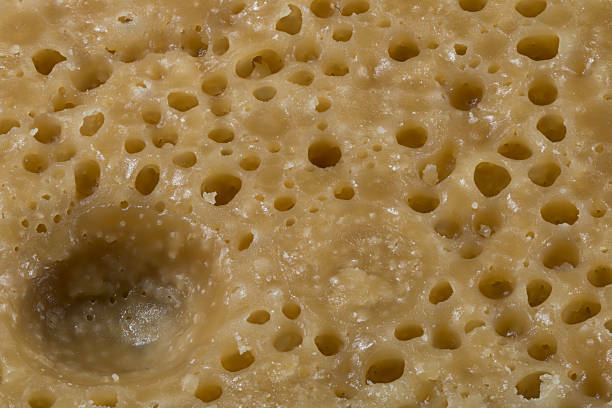 Like many concentrates, wax has certain properties that appeal to experienced users everywhere. Those looking for a serious upgrade from dry herb consider wax as a prime candidate for expanding their horizons. However, no cannabis product is perfect. While wax certainly offers an interesting experience, it is equally important to understand the risks. Aspiring users should take the time to research new products – especially ones as potent as THC wax. Girl Scout Cookies PHO from Pacific Gas Co.
Tuna Kush PHO Wax from Pacific Gas Co.
Candy Cane Nug Run PHO Wax from Pacific Gas Co.
OG Kush PHO Wax from Pacific Gas Co.
Nuken PHO Wax from Pacific Gas Co.
THC wax is a type of cannabis concentrate. Concentrates are products derived from cannabis where manufacturers separate the THC from dry herb. The results differ from one product to another. In terms of wax, the ideal result is a very viscous, oily substance. Its consistency is a lot like maple syrup or honey. More importantly, to wax fans, this product is very potent. The problem with concentrates is that their sources may not always be quality-controlled. Consequently, potency is not necessarily consistent. In this case, the THC concentration ranges anywhere from 60 to 90%. Still, this is a lot compared to dry herb. By comparison, even the strongest cannabis flower barely breaks the 30% mark. Even the weakest wax is more powerful than the strongest leaf. THC wax is also known as “butane hash oil” (BHO) due to its manufacturing process. In order to create any concentrate, the THC needs to be separated from the plant. While butane extraction is not the only method used to make concentrates, it does appear to be the only way people make wax. To create wax, chemists apply pressurized butane to a tube or container of tightly-packed cannabis. This leaves behind a solution that forms the basis of THC wax; however, producers need to remove the solvent. In order to remove residual chemicals from the wax, the chemist applies heat to boil away the butane. Using a vacuum device, they can speed up the process by further reducing the boiling point. This also helps preserve terpenes that add flavor and provide additional effects beyond that of straight THC. It is critically important that wax fans know their suppliers. If improperly done, residual solvents will remain in the final product, ultimately finding their way into users’ bodies. Another consideration is that butane extraction is highly dangerous. The chemical is quite unstable. While under pressure, a simple spark could trigger a massive explosion, similar to what would happen in a meth lab. While it is possible to make wax at home, it is much safer (and easier) to simply buy it. To ensure maximum quality, it is best to purchase online from a legally-licensed supplier. Medical users will find this easy since medical cannabis is highly regulated and monitored for contaminants and lab tested. This is where THC wax differs significantly from dry herb or even other concentrates. 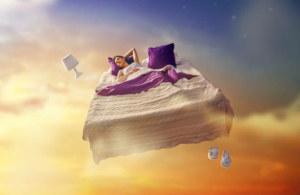 While it will make users high, wax is also known to cause powerful hallucinations. Further compounding the intensity is that the product’s effects are virtually instant. The problem with hallucinations is that people have little control over what they see. As a result, “bad trips” are always a possibility that wax users should keep in mind. Earlier, we mentioned that butane extraction helps preserve terpenes. Understanding what these are and – more importantly – what they do, helps ensure the best experience possible. Terpenes are compounds found throughout the plant kingdom. Many of these substances appear in essential oils or plant-based supplements, in addition to cannabis. Terpenes do everything from affecting flavor to determining which medical conditions a strain treats. These chemicals are especially important for medical recipients. For instance, cannabis is known for its benefits in controlling epilepsy; however, it needs to contain a terpene called linalool in order for maximum effect. Fortunately, medical providers typically provide a list of terpenes and percentages on their product labels or websites. For recreational users, the issue is not nearly as critical. Nevertheless, knowing about terpenes helps create a custom experience. If someone wants a relaxing effect, they should not purchase a strain high in pinene, as this terpene acts as a neural stimulant. Terpenes also add flavor to the product, while concentrates without them (a.k.a. “isolates”) are relatively flavorless. The point is that knowing different terpenes allows users to enjoy the right experience, the first time. But it does not stop there. The “entourage effect” is a synergistic relationship between the THC and terpenes that greatly improves the power and quality of a high. When put together, these components complement each other, adding potency that THC alone cannot provide. Even the most seasoned cannabis users are under the impression that the main THC strains – indica and sativa – offer their own unique benefits. Budtenders may advise their customers that indica is more energizing, while sativa works as a sedative. The truth, however, is that there is no evidence to suggest this. There are physical and genetic differences between the two, but that is where it ends. The only truly unique strain is hemp, which contains just traces of THC. Many people use hemp extracts and concentrates for its CBD, a non-psychoactive cannabinoid with certain medical uses. Ultimately, strains make no difference. Instead, shoppers should ask for information about terpene content, as this is what will ultimately determine the product’s effects. THC wax is very similar to another form known as “dabs.” In fact, many people use the term interchangeably; however, dabs and waxes differ in terms of consumption methods. Occasionally, users might mix the wax with dry herb in a joint or pipe, for instance; however, this is unconventional and rarely used. Bongs are well-established in cannabis culture, but the bongs used for waxes are a bit different than those meant for dry herb. In fact, wax bongs are quite intricate. The method is simple. Simply place a small amount of wax into the bong. Rather than a lighter, smokers use a hot stoker or handheld blowtorch to light the material and ultimately inhale it. 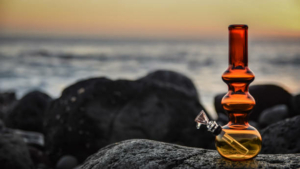 Of course, there are some safety concerns associated with blowtorches, so keep this in mind when using the bong method. Those looking for a cleaner experience can opt for a vaporizer. It is important to note that this requires a special type of vape. Models meant for dry herb will not work on wax. Fortunately, concentrate vaporizers are easy to find. In fact, some of them are compatible with multiple cannabis products. The biggest advantage, of course, is that vaporizers do not rely on combustion – no blowtorch required. We already established that THC wax is quite potent, but there are other reasons why so many people like this product. Medical patients may benefit from trying wax. The instant relief it provides makes wax a great choice for people with acute pain. Many people use edibles for therapeutic reasons, but they can take up to four hours to before users experience their full effect. This means having to put up with the symptoms for quite some time. Even if quick results are not essential, waiting serves little purpose. Assuming that there are no solvents left behind from butane, wax is much easier on the lungs. Joints, bongs or pipes require individuals to inhale smoke. This of course contains a lot of particles, tar and irritants that cause discomfort in the chest and throat. 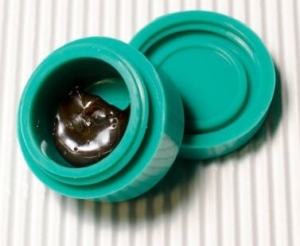 Because wax is so concentrated, users need very little in order to get high. That being said, this is also why skilled dosing is important. As a concentrate, THC wax is something that must always be approached with caution. While – when used and purchased properly – it has some excellent benefits, trying wax without fully understanding it could be unpleasant. Most people understand the high associated with other cannabis products and seek it accordingly. Consequently, they may not be aware that marijuana extracts could lead to hallucinations. Some will argue that wax’s hallucinations are a bonus – which is certainly true; but not to those who are worried about the intensity of these visions. While a life-threatening THC overdose is impossible, using too much will still be very unpleasant. Unfortunately, waxes are difficult to dose. 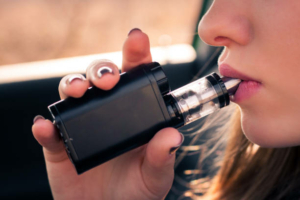 Users basically have to eyeball the amount in their vaporizer or bong. This makes consistent dosing impossible and increases the possibility of using too much. Whether medical or recreational, users should start with as little as possible and work their way up from there. Although they lack the by-products from dry herb, poorly-made wax could contain traces of butane solvent. Naturally, inhaling this type of chemical is definitely not beneficial to the lungs (or anywhere). Before making a purchase, it is important to research the manufacturer. Specifically, look for third-party lab test information to prove the product’s purity. Concentrates are highly expensive, and wax is no different. Depending on the source and location, it is not uncommon for a gram of wax to cost $100; however, wax’s potency means less is necessary to get high.